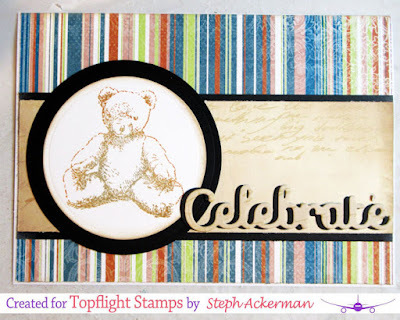 I'm on the Topflight Blog today creating with stamps from Craft Emotions. 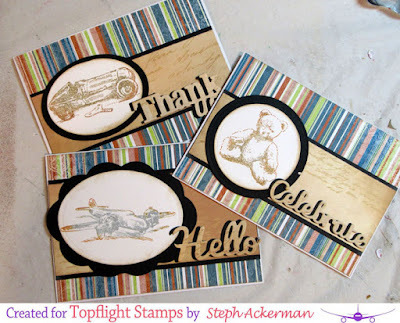 I created 3 cards from this Lovely Baby - Vintage Toys stamp set using the same papers and inks, but changing the images and phrases. 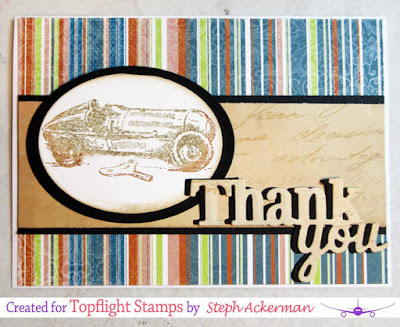 I inked the car with gray ink then added in some brown before die cutting. I lightly inked around the oval and matted it with a larger black oval before adding to the card. I stamped the airplane in gray ink and added in some brown ink before die cutting. 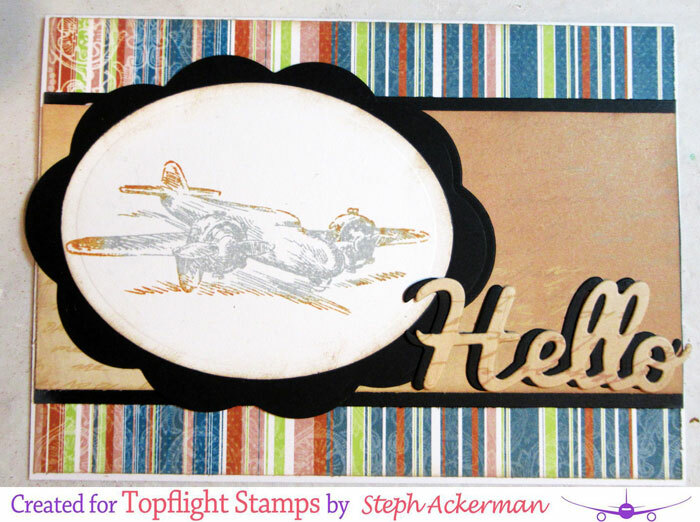 I matted it with a scalloped oval and added it to the card. I inked the teddy bear with gray ink then added in some brown before die cutting. I lightly inked around the circle and matted it with a larger black circle before adding to the card. The black phrases were added to the cards first and the beige phrases were added slightly off, giving the appearance of a shadow beneath.